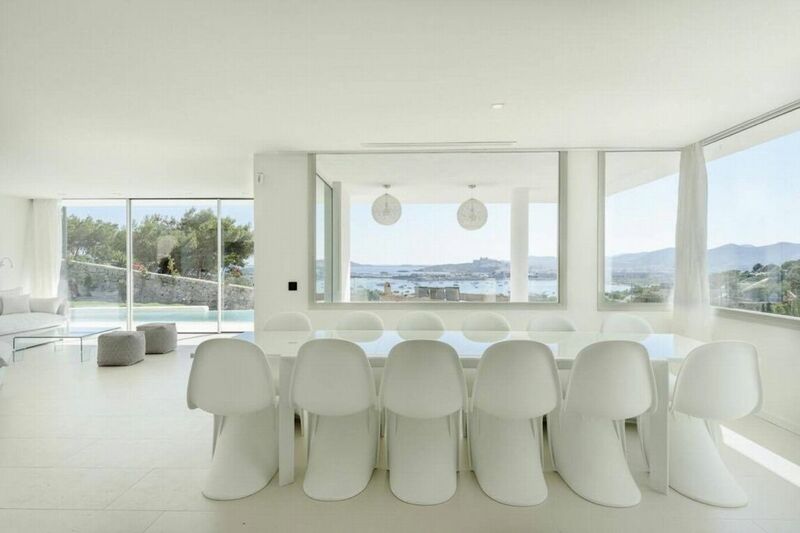 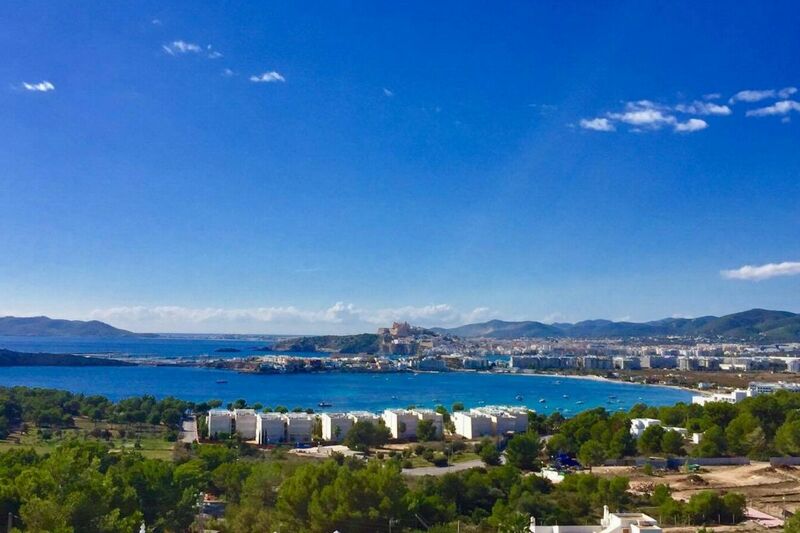 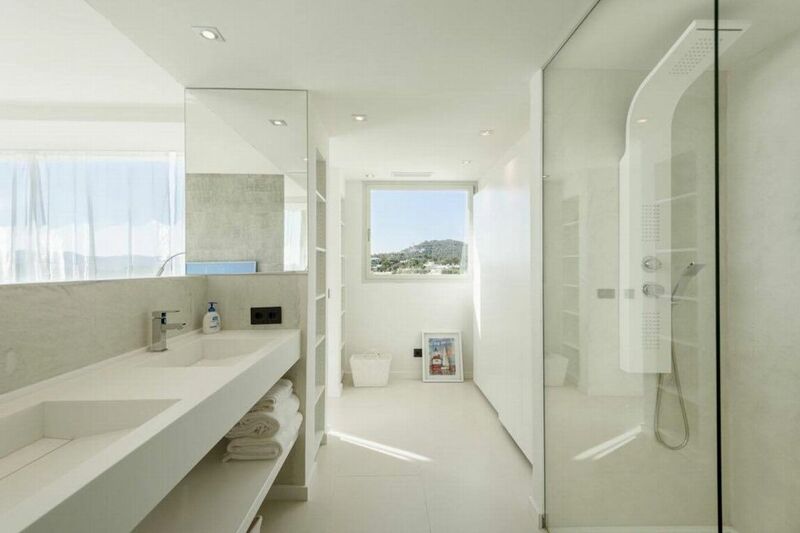 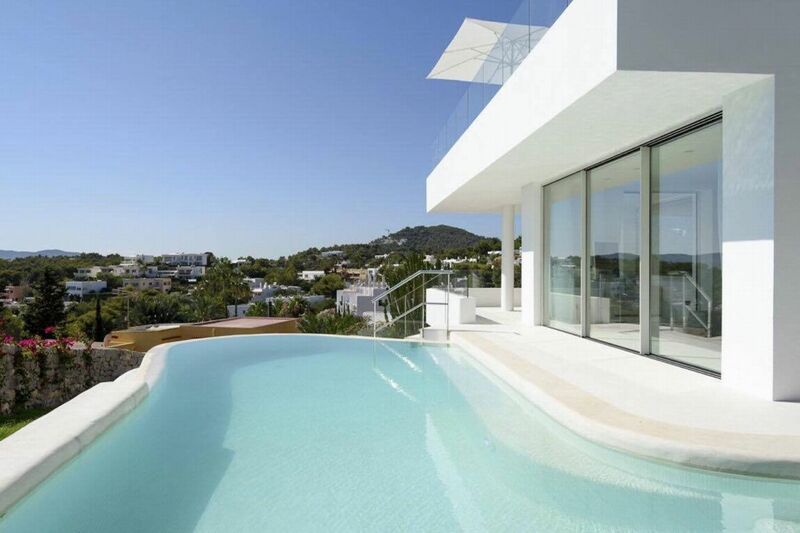 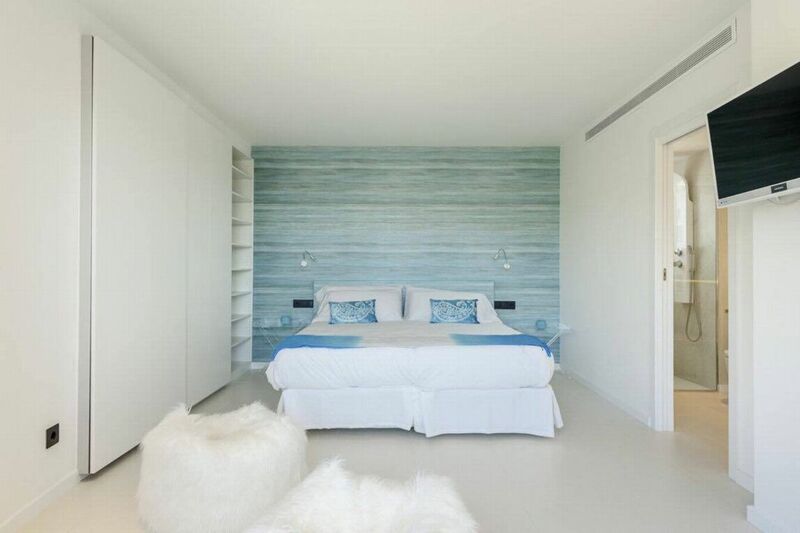 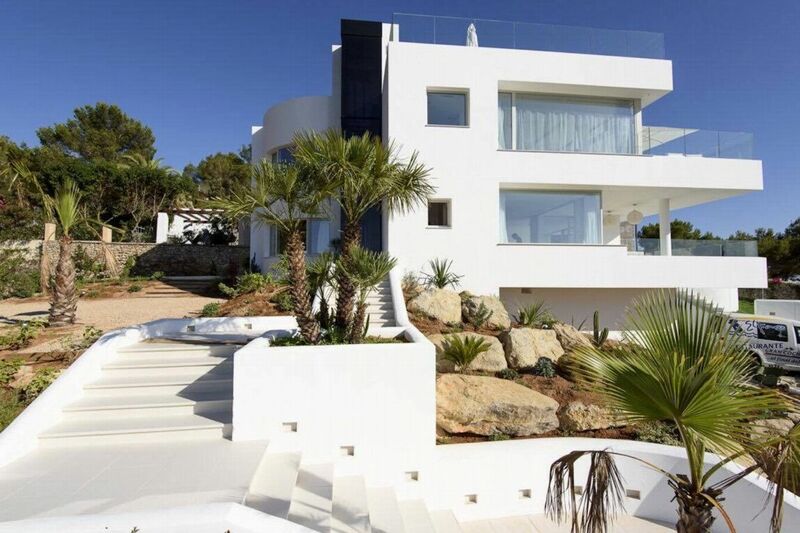 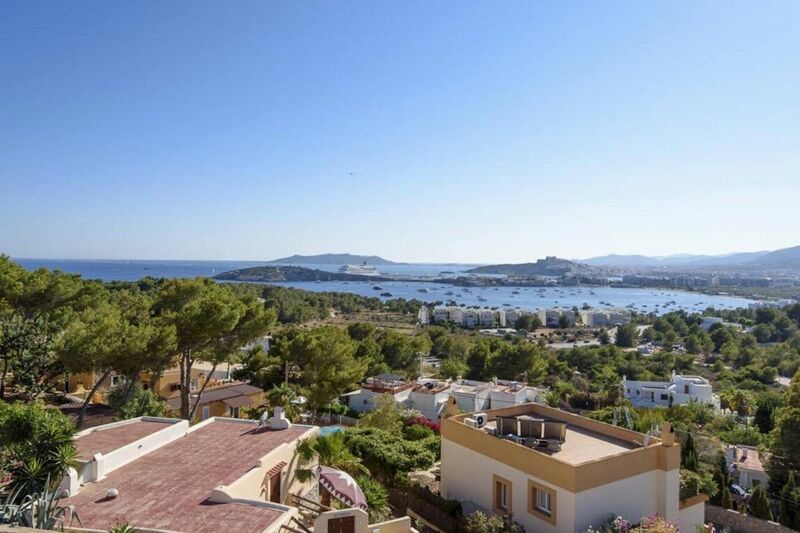 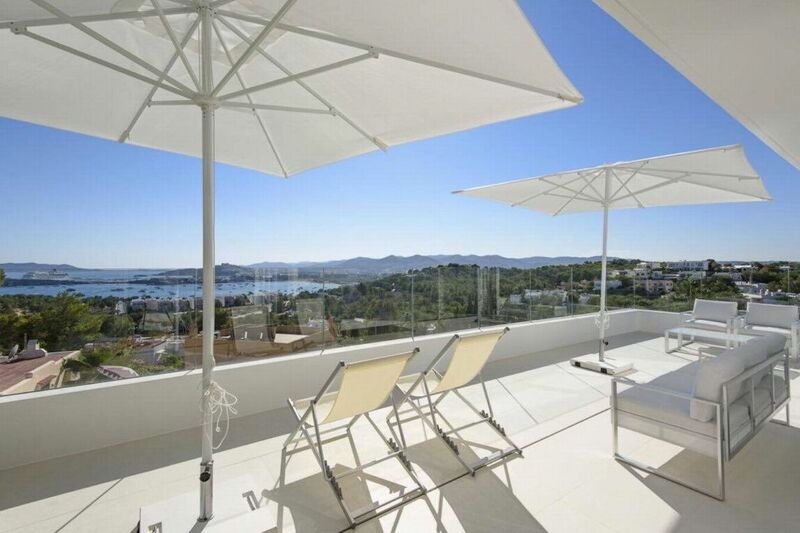 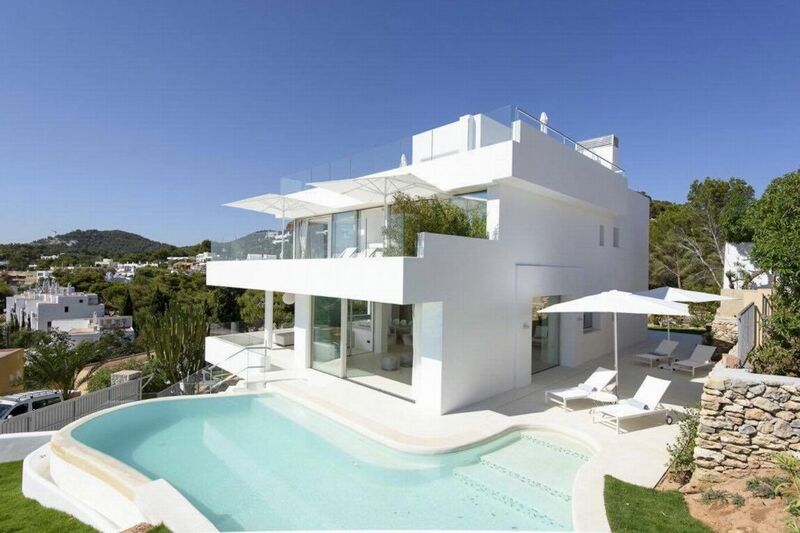 Located in Can Pep Simo with amazing views to the sea and Ibiza Town. 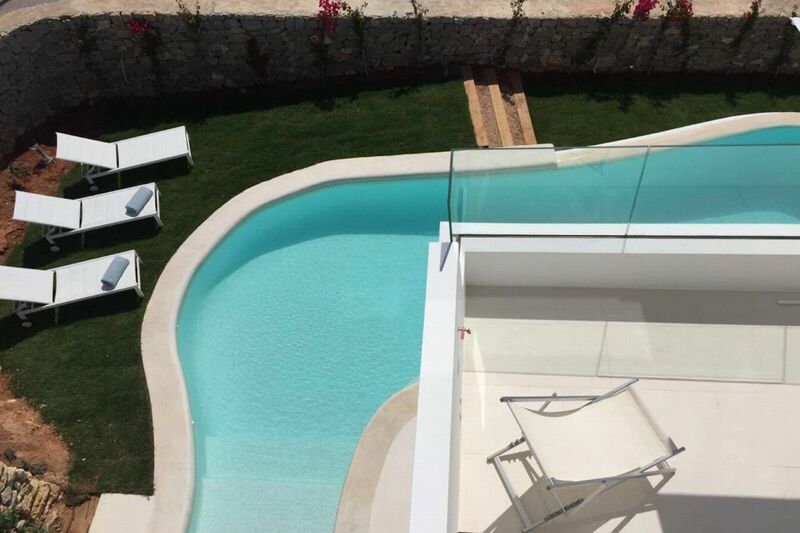 This is a brand new, 3 story, luxury sea view villa, located in the much sought after exclusive neighbourhood of Can Pep Simo. 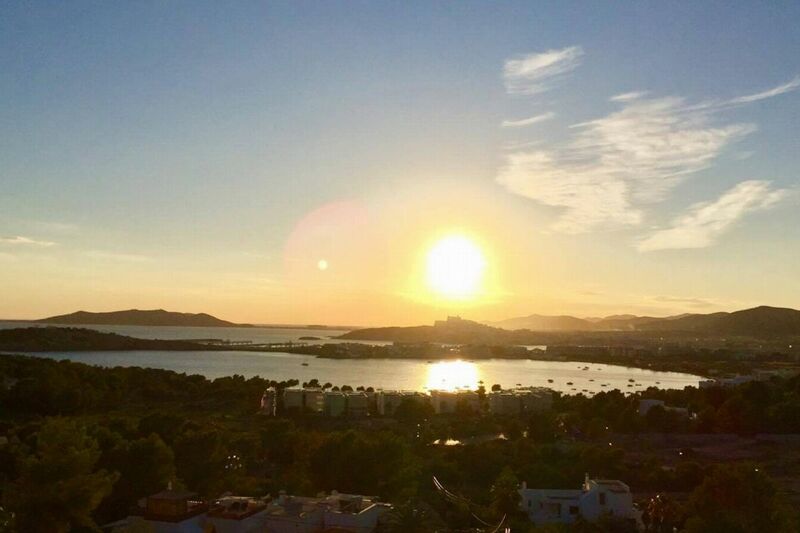 It is only 800m to 'Destino Pacha Resort' and 'Sa Punta Fine Dining', 4 minutes to 'Nobu Hotel Restaurant' and 8 minutes to Ibiza Town. 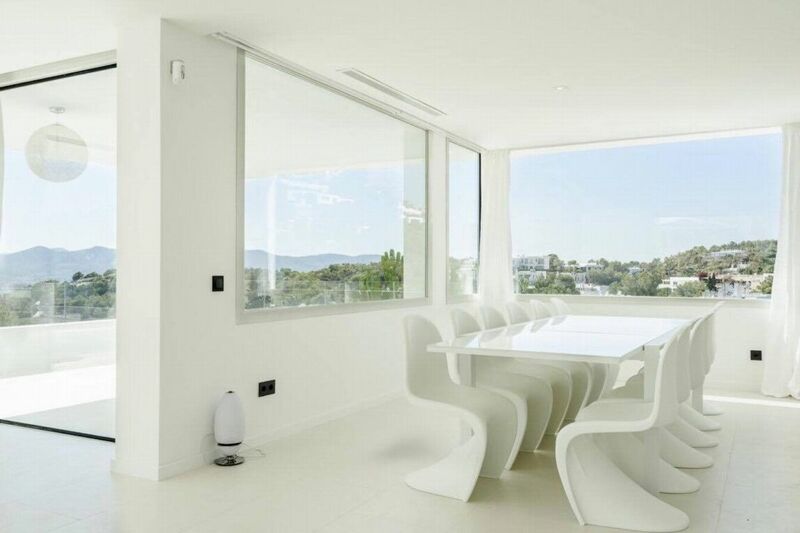 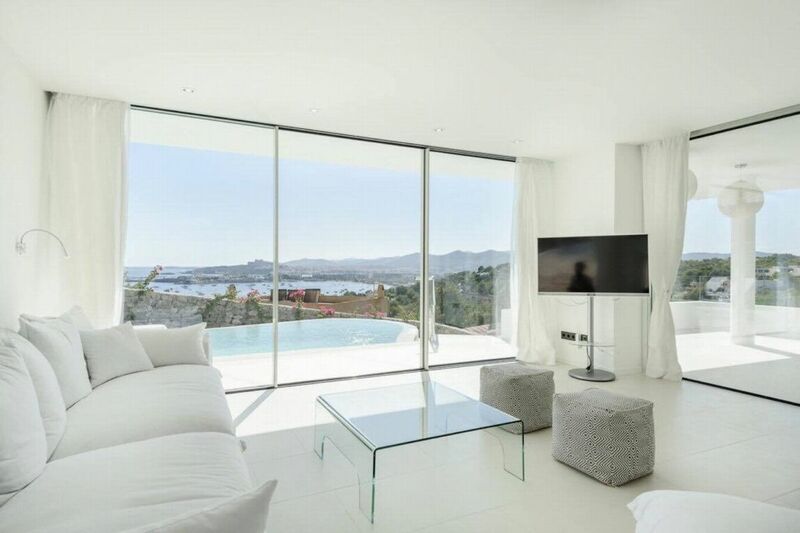 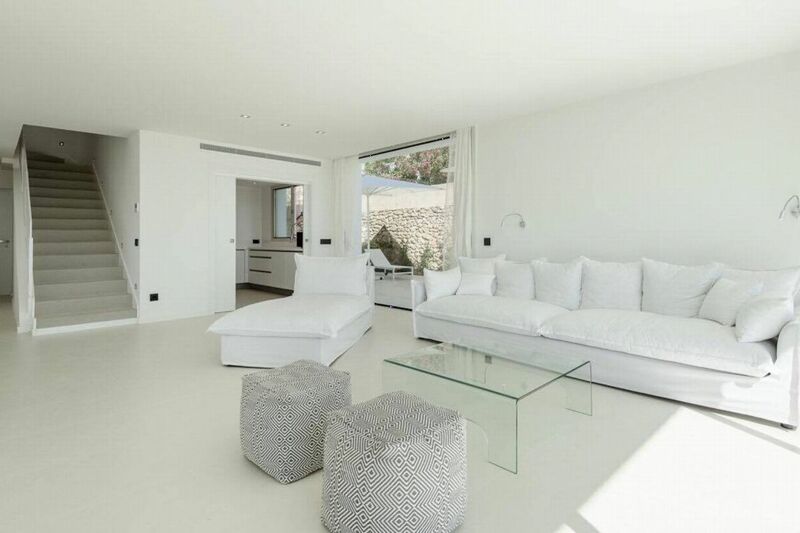 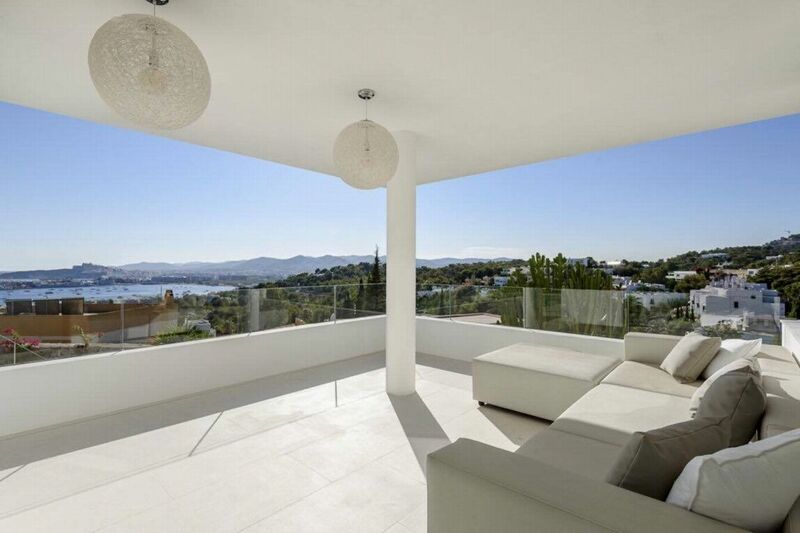 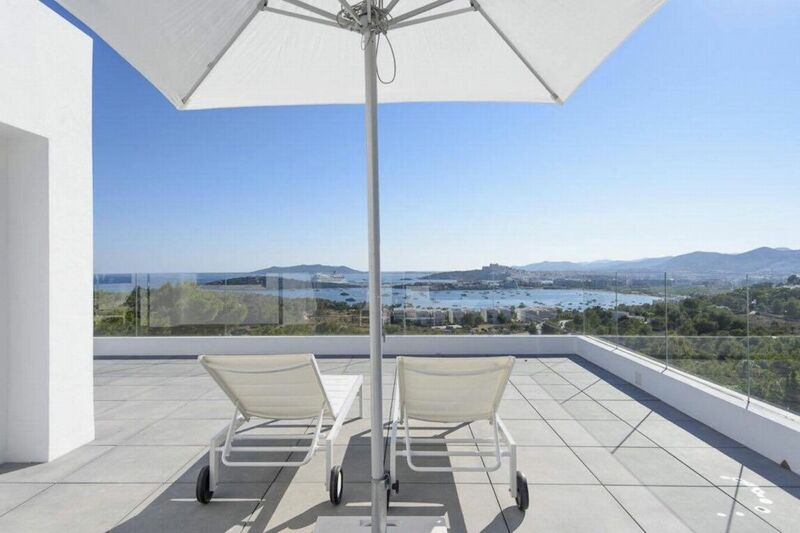 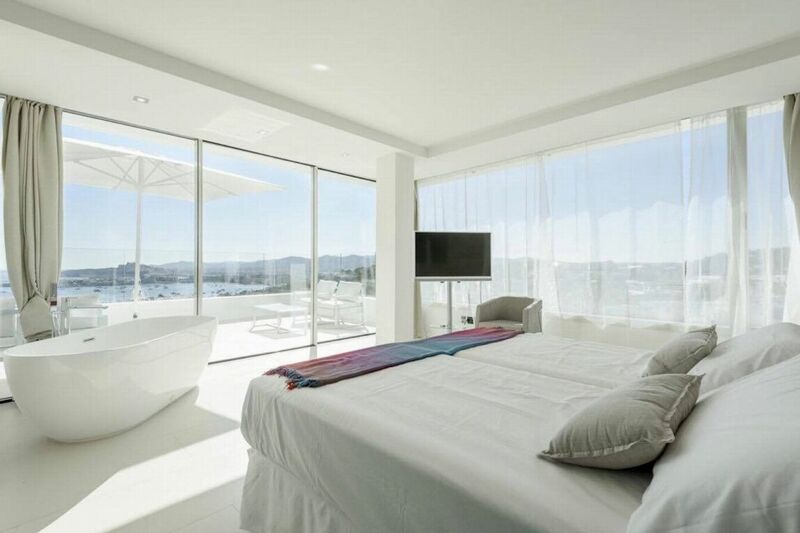 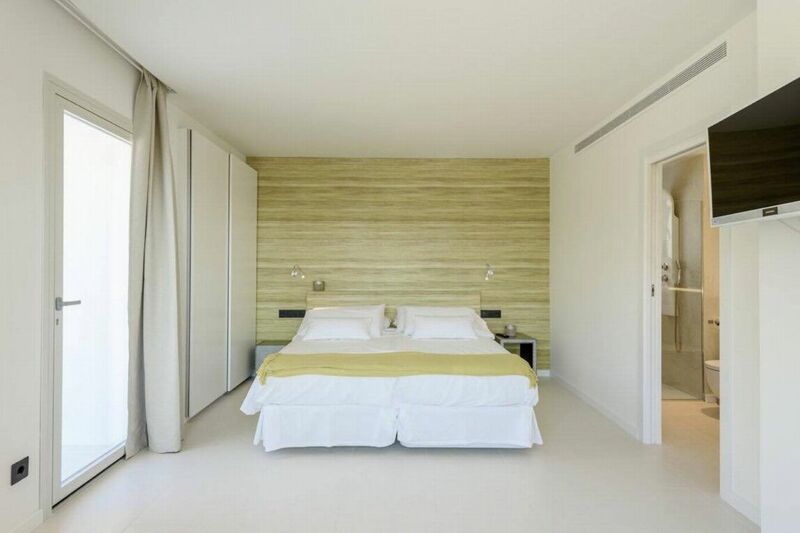 This house boasts plenty of space both indoors and outdoors and there are superb panoramic views including views over to Dalt Vila, Ibiza Town and the island of Formentera. 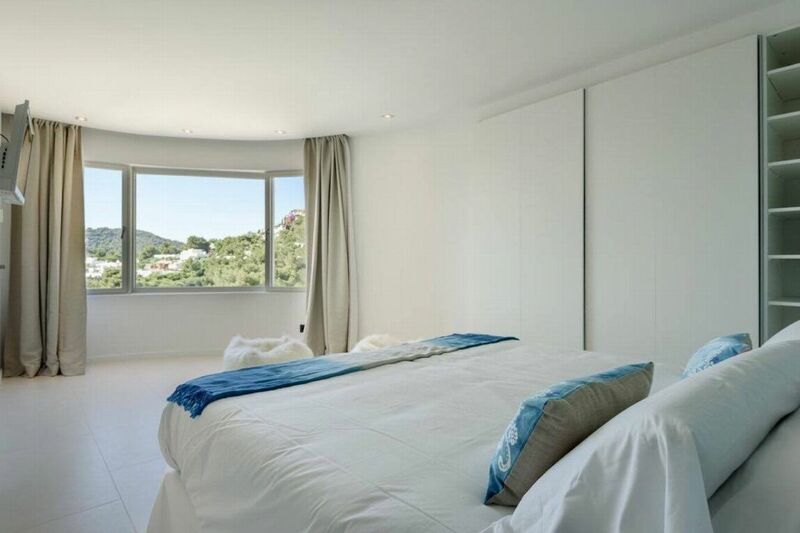 The property is fully secure with an alarm and has private parking facilities. 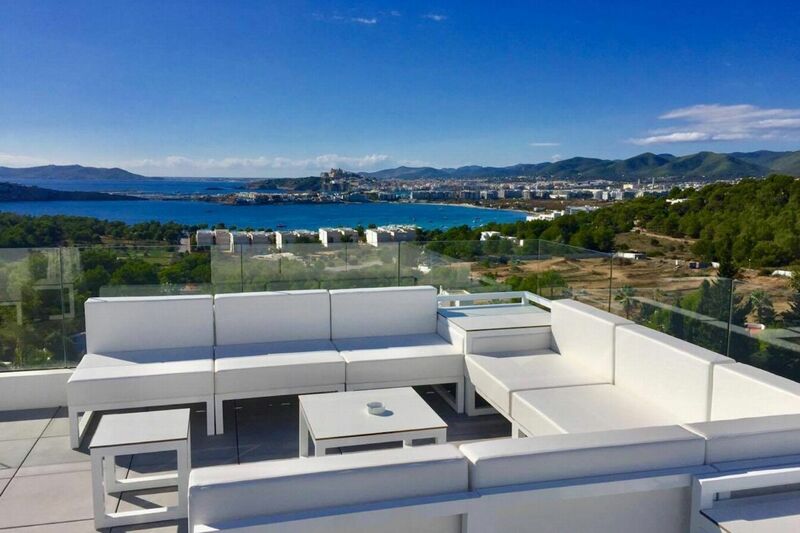 OUTDOOR AREA The outdoor areas are very well equipped for enjoying the hot Mediterranean summers; there is a fantastic roof top terrace with sky bar and amazing 360 degree panoramic views of the sea and surrounding countryside. 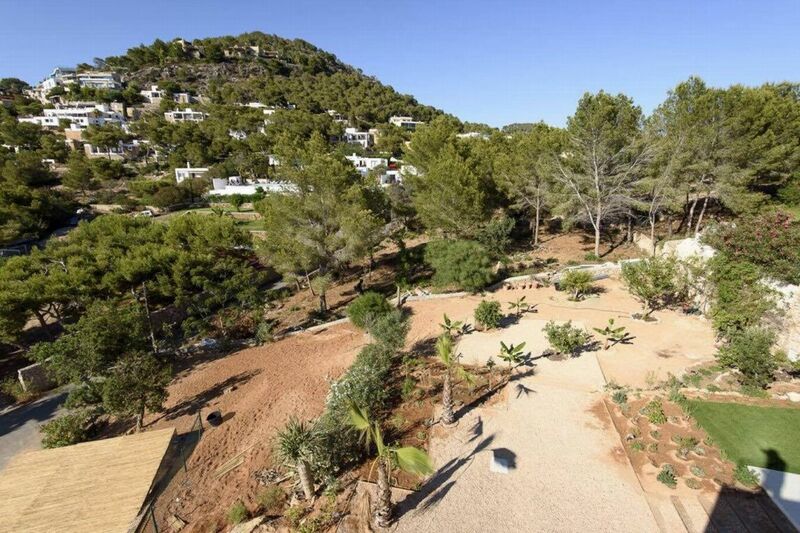 The large Mediterranean garden has several palm trees and beautiful flowers; the large terraces have comfortable outdoor chill-out furniture and there's a dining area with BBQ and Weber Grill. 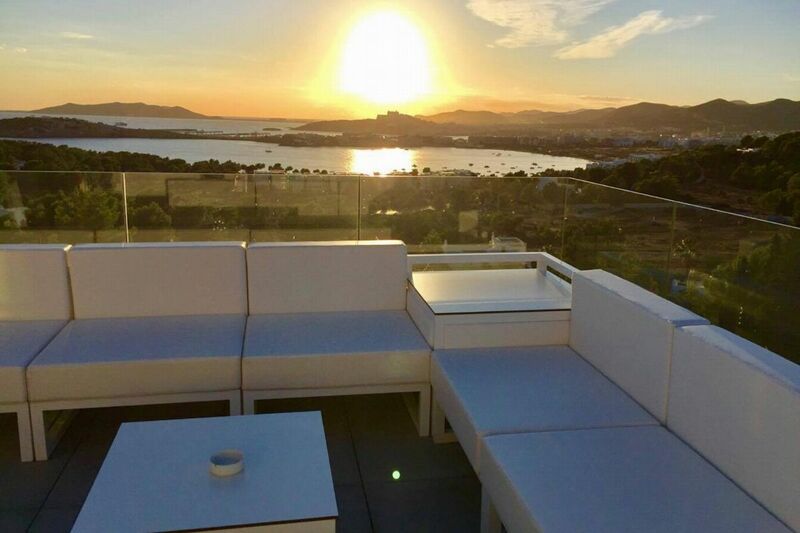 In total there are six sunbathing areas, the infinity pool also boasts amazing views of the landscape and is fully lit at at night. 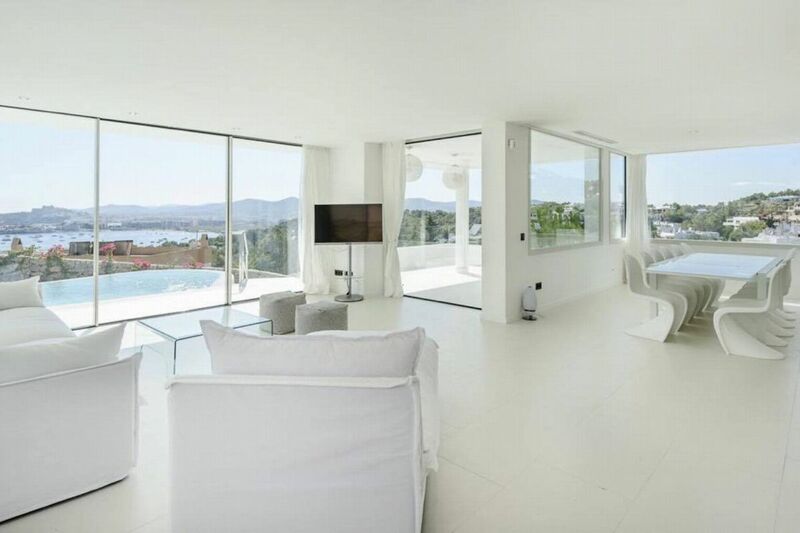 LIVING AREAS The spacious, bright, open plan lounge and dining area (seating 12 people) opens out onto a wonderful terrace overlooking the pool; the lounge has a large flat screen TV and large luxurious sofas. 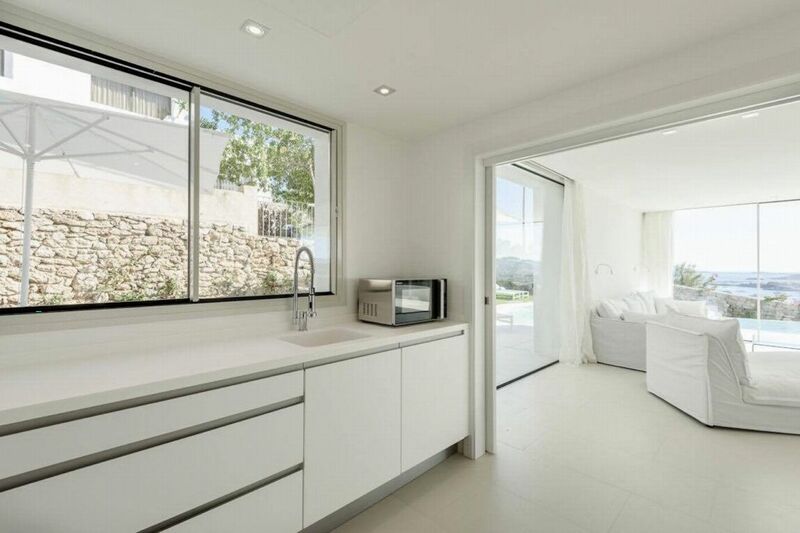 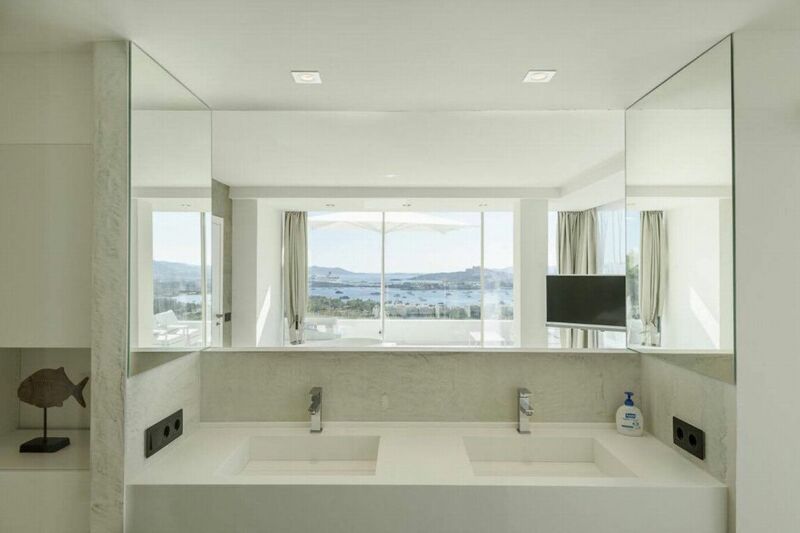 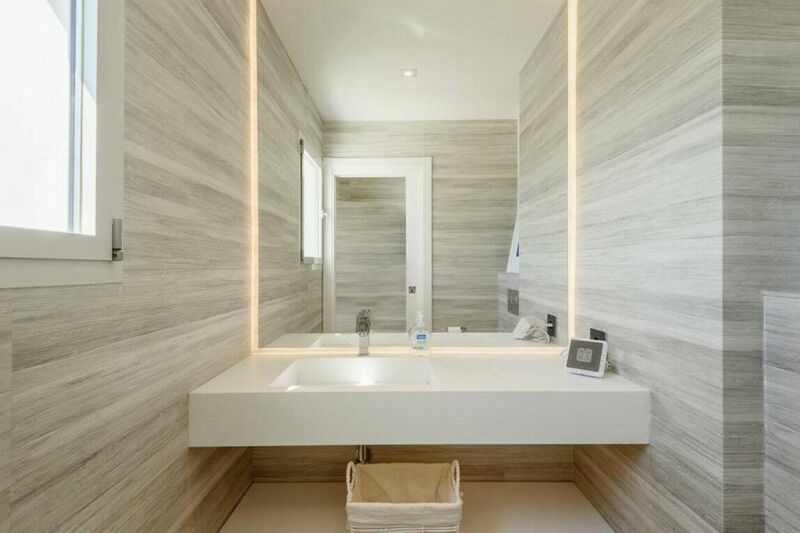 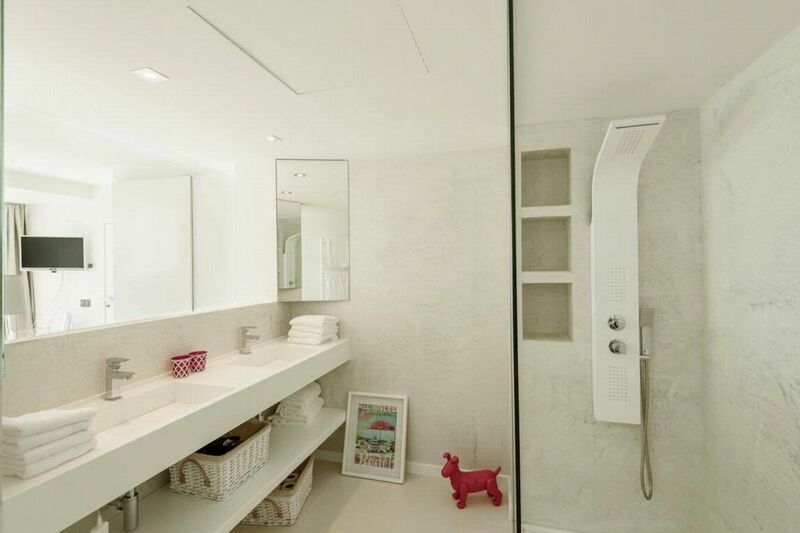 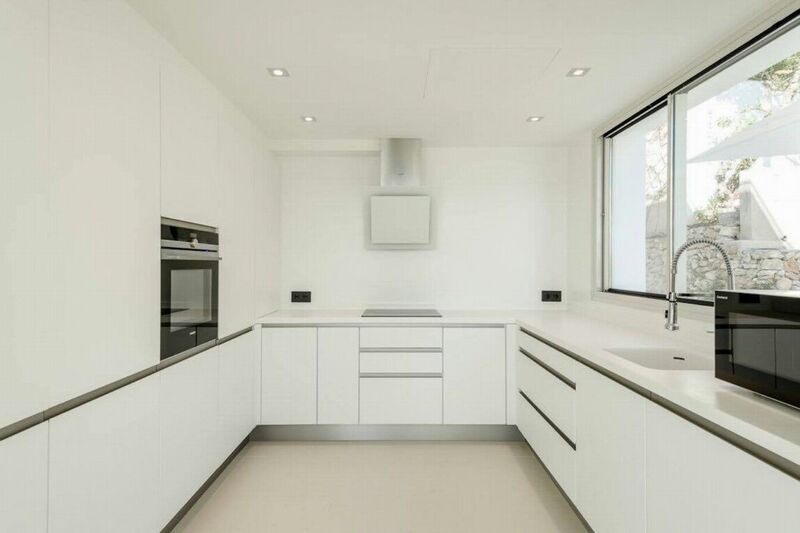 There is a fully equipped modern designer kitchen with all modern appliances and a guest bathroom. 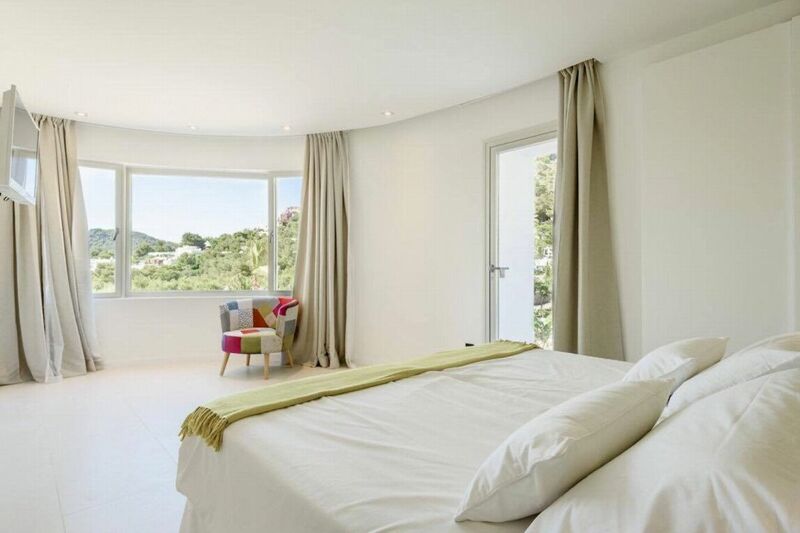 All areas are equipped with air conditioning, WiFi internet, sound system and satellite television. 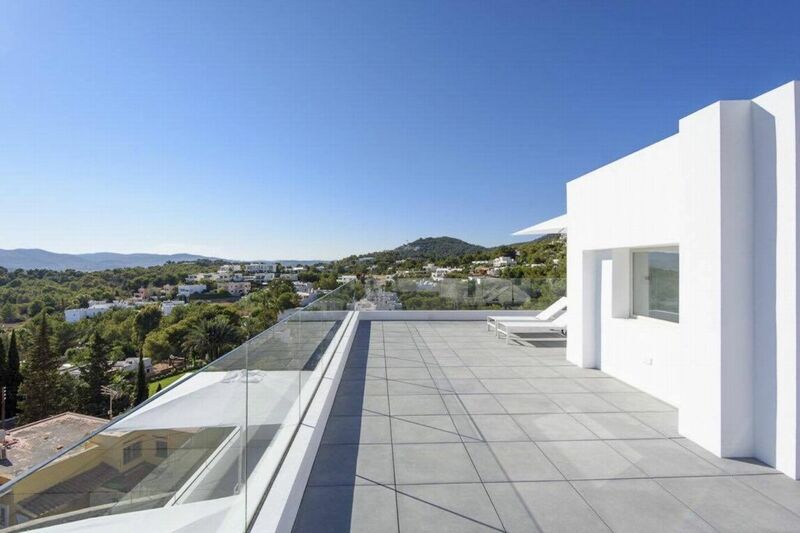 This property also features an elevator that accesses all 3 floors with views of Can Pep Simo whilst in use. 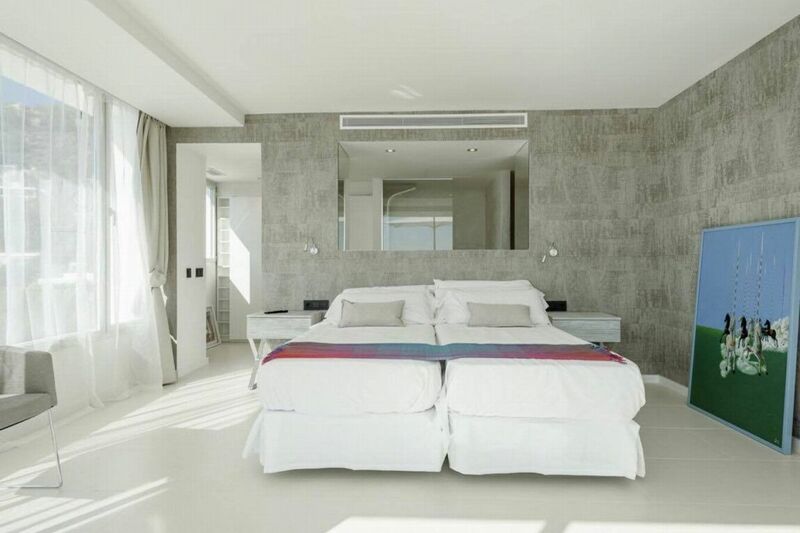 Twin beds (joined to make a large double), separate bathtub, en-suite shower room, TV, air conditioning, private terrace, sea views. 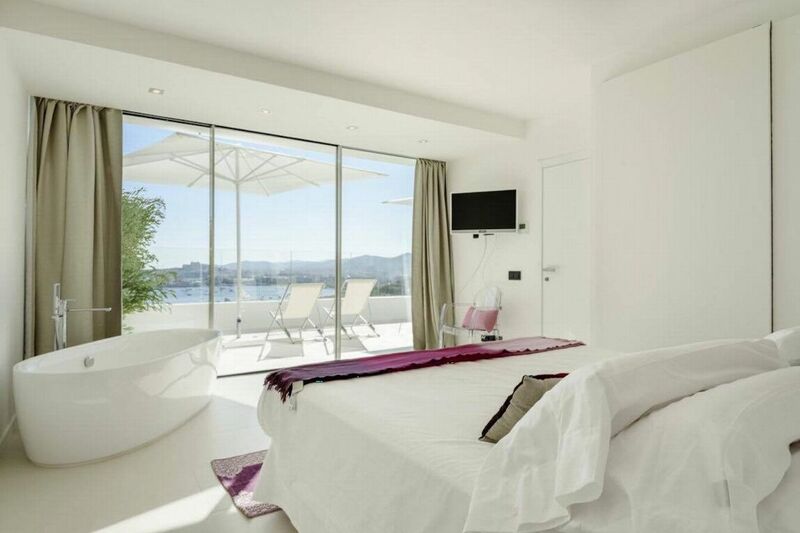 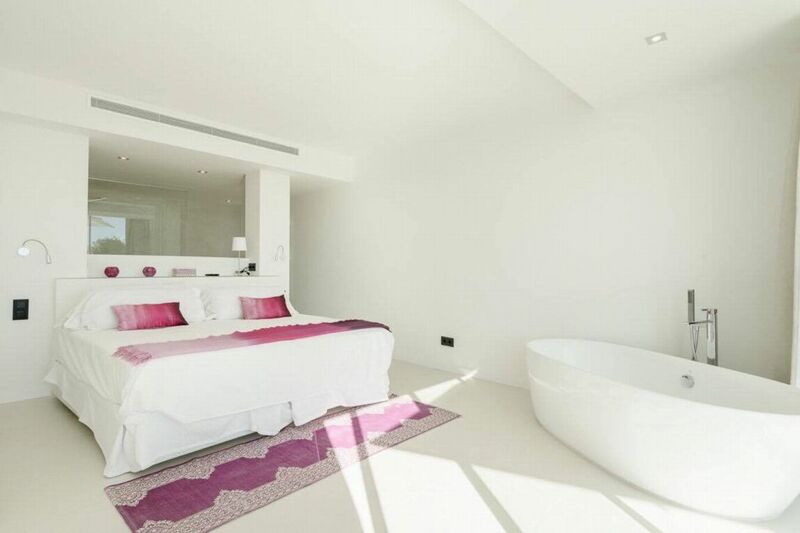 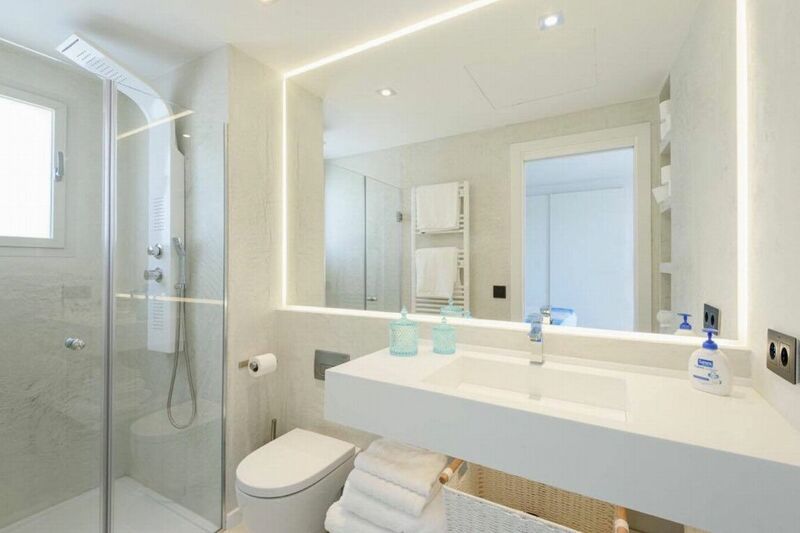 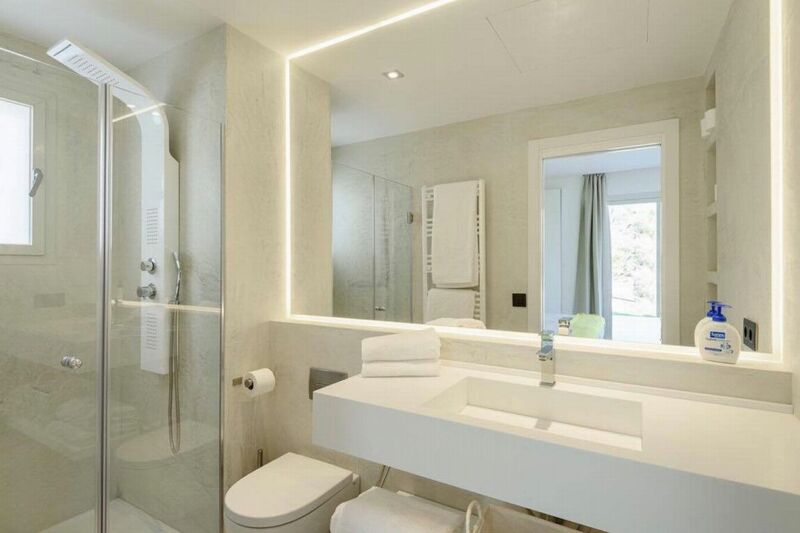 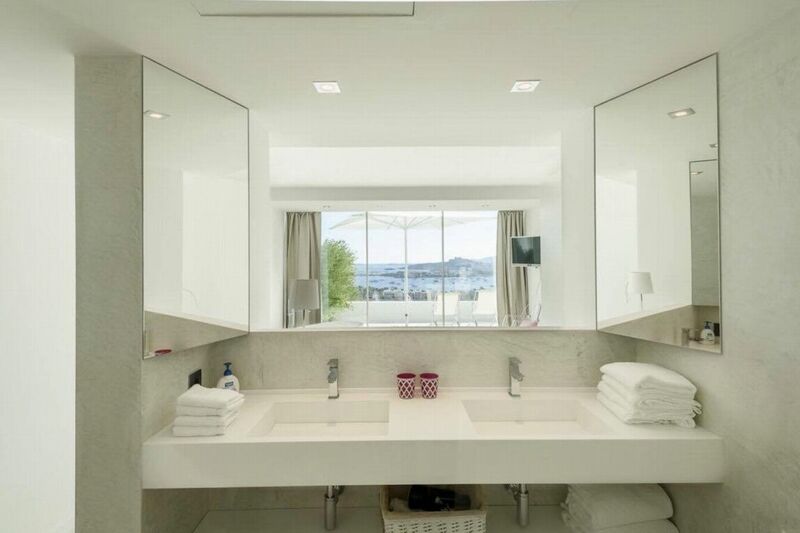 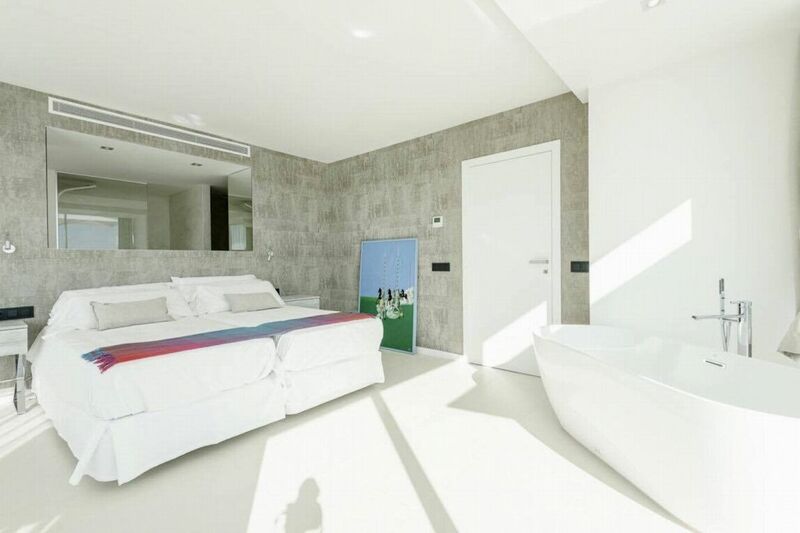 Twin beds (joined to make a large double), en-suite shower room, TV, air conditioning, private terrace, sea views.